That DYLAN DOG: DEAD OF NIGHT is playing on American theater screens at all is kind of an amazing thing. Not because it's bad; the film is actually pretty enjoyable if you're in the right frame of mind. But this is a movie based on an Italian comic book series that has only marginal recognition in the U.S. 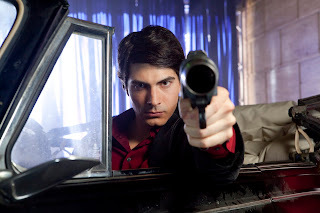 The biggest star in the cast is Brandon Routh (SUPERMAN RETURNS), and director Kevin Munroe seems to have little if any interest in appealing to the all-important younger demographic that can sometimes give a low budget horror flick a big enough opening weekend to break even. There's a refreshingly low-rent aesthetic to the proceedings and an eccentric sensibility that gives DYLAN DOG the feeling of something that might have been made in the eighties, but even then it probably would have been sent straight to video after the studio saw it and realized there was no commercial potential. Dylan Dog (Routh) is a run-down private eye living in New Orleans and just barely scraping by on sordid adultery cases. He used to work predominantly in the supernatural, and in fact was respected by the vampires, zombies, and werewolves as an impartial party able to reign in those monsters who refused to follow the rules. That all changed after the death of his true love. Now he's been pulled back into the twilight world of the undead, taking on the case of Elizabeth (Anita Brien) after her father is killed by a werewolf and Dylan's assistant Marcus (Sam Huntington, previously Jimmy Olsen to Routh's Superman) gets turned into a zombie. All this gets shoehorned into a convoluted film noir plot only slightly easier to follow than THE BIG SLEEP. I cannot tell you in good conscience that DYLAN DOG is a great movie, or even a good one. It's not. But as I said at the beginning of this review, it is entertaining for a certain audience. 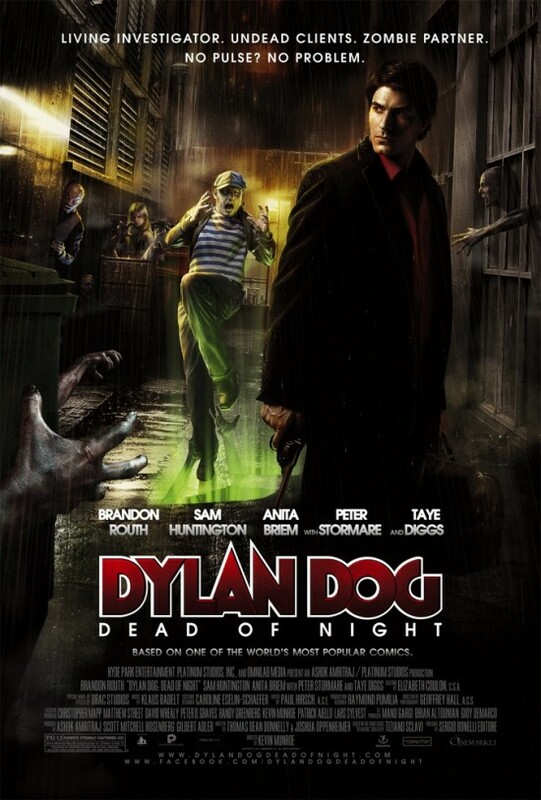 While it's not on the same level as something like Dan O'Bannon's RETURN OF THE LIVING DEAD or Stuart Gordon's RE-ANIMATOR, DYLAN DOG is at least in the same spirit, and it gives it a good college try. The monsters are mostly created the old-school way, with latex and make-up. The stunts are performed on actual sets using physical techniques. There are plenty of rough edges, and not everything works, but there's just something about the movie that feels to me like the filmmakers were trying to have a good time and make the best low budget monster rally they could given their budgetary limitations. In an age of slick, crassly calculated big studio horror, that counts for something with me. 2 1/2 out of 4 stars. What, no reference to Dellamorte Dellamore?? Tell me that Nagi makes an appearance, at least. Eh, the connection between 'Dellamorte Dellamore' and the original comic books was already kind of weird, and there's even less connection to this movie adaptation, which changes a lot of stuff from the comics. People should definitely check out 'Dellamorte Dellamore' (or as it's known in the U.S., 'Cemetary Man'), though.